Those who were unable to attend my performance as and lecture on Barbara La Marr; the signing of my biography, Barbara La Marr: The Girl Who Was Too Beautiful for Hollywood; and the screening of The Three Musketeers (1921), starring Douglas Fairbanks Sr., Marguerite De La Motte, Nigel De Brulier, Barbara La Marr, and Adolphe Menjou, on March 24 at Hollywood’s Egyptian Theatre may view The Three Musketeers for free online (see link below). When The Three Musketeers premiered in New York City in August 1921, it was hailed by critics as “a thrilling, gripping, unadulterated success”; “the greatest achievement since the birth of the motion picture industry”; and, “in the words of D’Artagnan”—the film’s gallant hero played by Douglas Fairbanks—, “Marvelous.” House records were shattered worldwide as crowds stormed theaters, literally fighting their way to box office windows and necessitating calls for police protection. Indeed, critics applauded Barbara’s supporting performance in The Three Musketeers, declaring her “dazzling,” a “fiery” actress, and worthy of stardom. 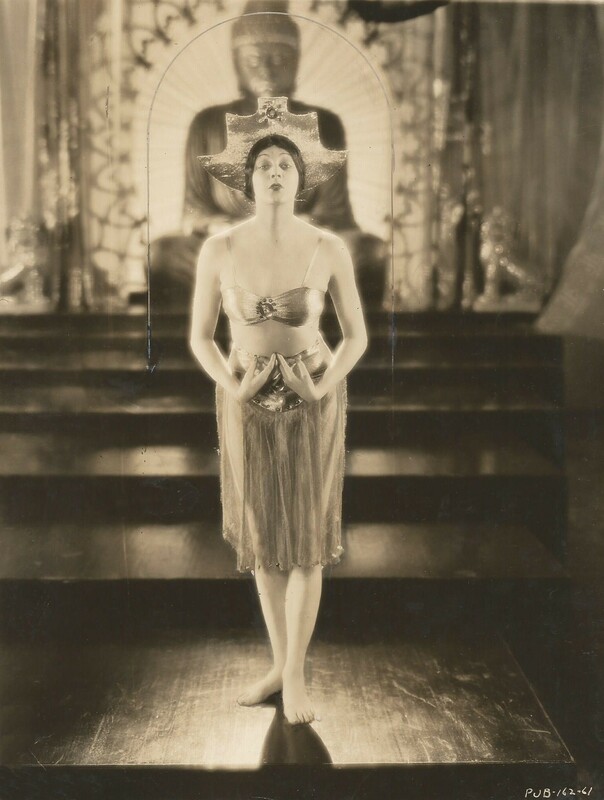 More film offers rolled in for Barbara, and within two years she was an established star. 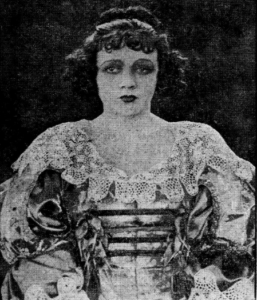 At the height of her fame, she credited the encouragement she received from Fairbanks and director Fred Niblo on the set of The Three Musketeers with preventing her from quitting and fueling her determination to succeed as an actress. *** Watch Barbara in The Three Musketeers here. “a thrilling, gripping, unadulterated success”: “‘Three Musketeers’ Has Greatest Reception Ever Accorded a Film,” Moving Picture World, September 10, 1921, 190. “the greatest achievement”: “Praise ‘Three Musketeers,'” Motion Picture News, September 17, 1921, 1514. “in the words of D’Artagnan”: “In the Words of D’Artagnan—Marvelous! !,” Wid’s Daily, September 4, 1921, 2. 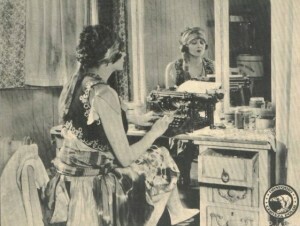 “You are going to be one of the biggest”: La Marr, Barbara, “The True Story of My Life,” Movie Weekly, January 24, 1925, pg. 20. “dazzling”: “Girl of ‘Too Much Beauty’ Wins Fame,” Salt Lake Telegram, October 23, 1921. 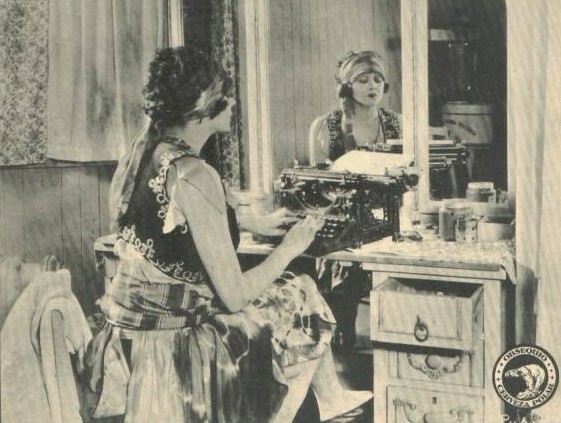 “fiery”: untitled photo caption, Picture Play Magazine, March 1922, pg. 42. This entry was posted in Barbara's Film Acting Career, Barbara's Screenwriting Career on April 13, 2018 by Sherri.